On a baseball diamond in Alexandria, VA, hatred and anger took an ugly turn June 14 as a man with a history of domestic violence and two legally acquired guns shot four people, one a member of Congress. The victims were Republicans. Six years ago, Democrat Rep. Gabby Giffords was shot by a constituent at a gathering outside a supermarket. Their party does not matter. They were all victims of violence and hatred in a nation where political vitriol is out of control and respect for our leaders and political system has been lost amid the conflict. We at the Maine Council of Churches pray for the victims and for an end to the divisiveness in our country. The violence was an abrupt reminder that we need to treat each other civilly even when we disagree. 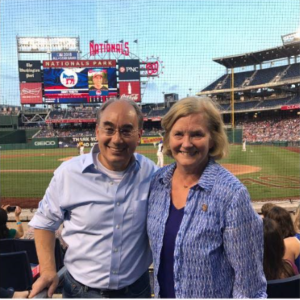 U.S. Reps. Chellie Pingree, a Democrat, and Bruce Poliquin, a Republican, brought home that message when they posed together for a photo at the Congressional baseball game the following day. Sadly hatred and intolerance found its way to Maine Friday when a Portland legislator was viciously attacked on Facebook after a video clip was posted of the legislator reading the opening prayer in the House. The Maine Council of Churches executive director has read prayers, calling for civil discourse, from that same rostrum, without complaint. But the legislator was attacked merely because the prayer was read from the Koran, partly in Arabic. Legislators in Maine generally treat each other with respect, and we hope that continues during difficult negotiations over the budget. Two months ago when accusations were rampant, Senate President Mike Thibodeau took the rare step of urging his Republican colleagues to cooperate with Democrats and focus on legislation. We appreciated his leadership then and we pray our legislative leaders and governor will pull together now and prevent a government shutdown.